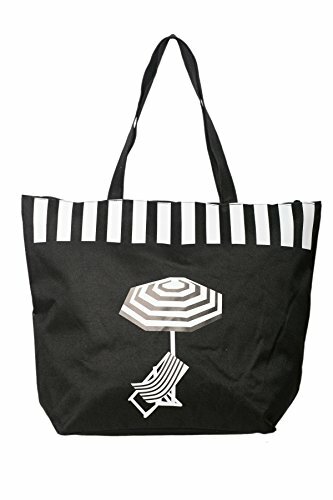 FEATURES: Our Ladies Beach Bag with stylish deckchair motif is perfect for the beach, pool or even just everyday use. It is equipped with a secure, zipped, inner pocket, which makes it ideal for storing all your beach essentials and keeping them safe whilst you enjoy your day. It has strong, securely attached handles meaning you can carry all you need for your day. SAFE: Keep everything you need safe and secure with our beach bag. 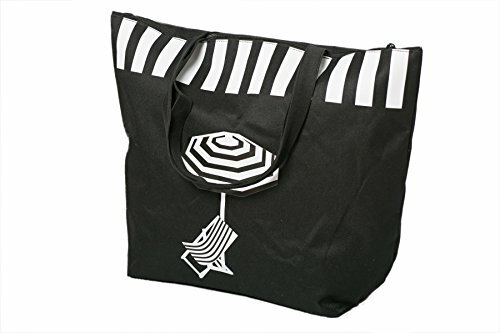 The bag has a zipped top, so nothing will fall out or get lost. 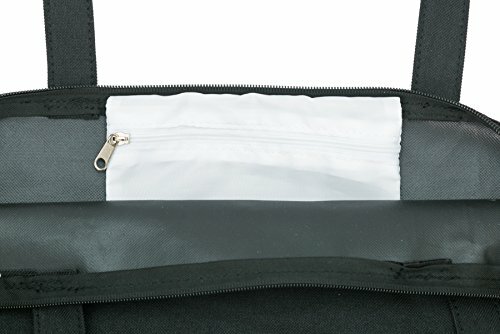 It also has a zipped inner pocket for keeping your valuables safe and stops you losing them in the bottom of the bag! 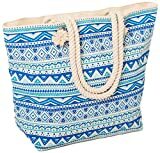 SIZE: Our Beach bag is an ideal size as it is not too bulky, but big enough to carry everything you need for the beach or pool. 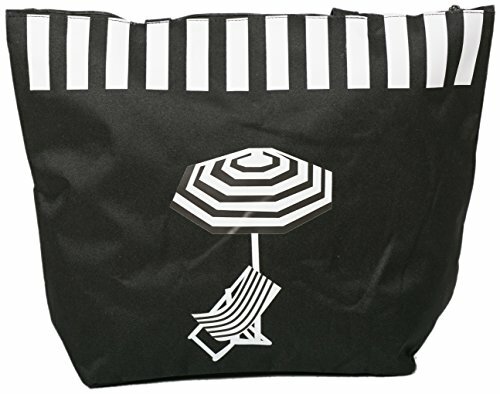 The dimensions are: Width 50cm x height 38cm x Depth 16cm. 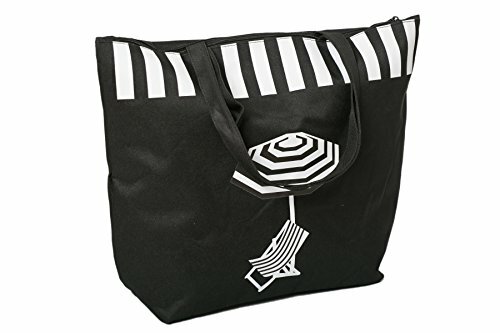 The bag is 100% Polyester.